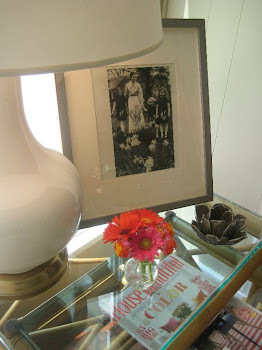 LUCY WILLIAMS INTERIOR DESIGN BLOG: FRONT DOOR FABULOUS....AGAIN! THIS RICHMOND, VIRGINIA CUSTOMER NEVER STOPS INSPIRING ME TO THINK IN A NEW WAY. THIS TIME, SHE THOUGHT FOR ME.....AND SHE HIT THE BULL'S EYE! WE HAD THESE LANTERNS CUSTOM MADE WITH MIRRORS ON THE BACK PLATE. A CONTEMPORARY STYLE USING TRADITIONAL MATERIALS ON AN ADORABLE HOUSE MAKES ME A HAPPY DESIGNER! WHO KNEW THIS DOOR WOULD BE SUCH A TREAT FROM THE INSIDE TOO? 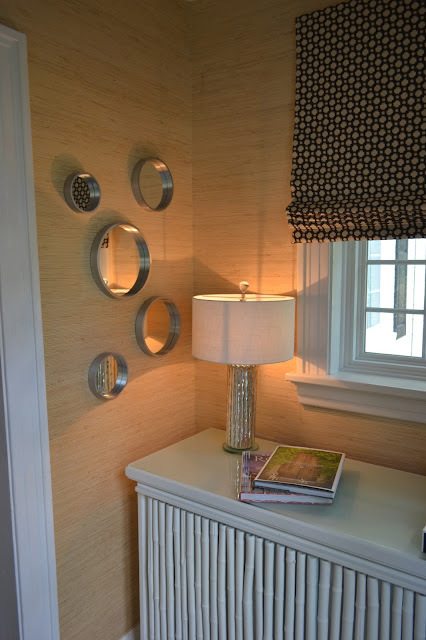 A SMALL GLIMPSE OF THE FOYER....WAS SUCH A TREAT SEEING THE NEW ROMAN SHADE, LAMP AND CONSOLE! JUST WAIT TILL YOU SEE THE REST OF THIS HOUSE. MORE TO COME!!! seriously LOVE a good bright colored Richmond door. We're in full on debate mode over at our new house on what color to go with! i saw that post julia!! i love turquoise or salmon-would be so pretty with your brown!!!!! you have to post and "after shot"! Lucy - I've recently discovered your blog and since landing on your page - have read and re-read nearly all of your posts. My husband and I bought our house just over a year ago in Cape Story by the Sea in VB and we're finally getting around to thinking about some larger reno projects. A lovely, new, wooden, bright front door is on my list. Preferably, a screen door with lots of windows and a solid front door. 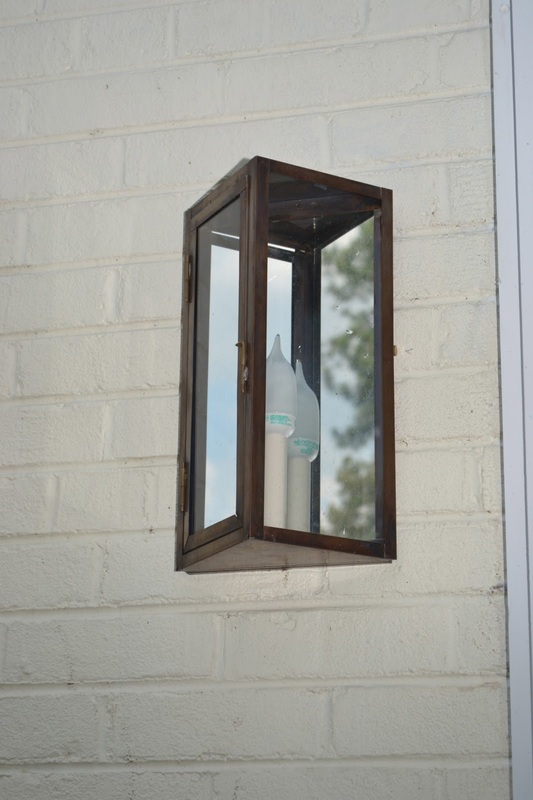 Do you have any recommendations on go to door manufacturers or makers in the area? Thanks in advance for your help! how exciting! this is making me want a new front door too! locally, ive been told "pro builders" in chesapeake does an amazing job. "siewers lumber" in richmond did the door on this blog-they are a fantastic company!!! thanks for the tips, lucy! Seriously. Where did she find that door? Is it new or custom? In any case it's tdf! Love the color too! its custom! siewers lumber in richomnd, va did it! Hi Lucy couldn't find an email for you. Wanted to know if you might have any clients interested in seascape paintings. hey I think your door is amazing great job and I wish you continued success! THX MICHELLE! love your blog too. glad you found me! yes, door custom made. siewers lumber in richmond, va did an amazing job! i wouldnt mind one myself! This house is in my neighborhood, and I've been dying to know where to get a door like this. So lucky I happened upon your blog from your comment at Pawley's Island Posh. Love your style! That blue door looks lovely! Aside from its color, the custom-made design definitely makes it an eye-catcher. Here's a suggestion, though: Why didn't you paint the other side of the door blue? That is definitely one chic door design. I love how the light looks from the inside, and how the different bars on that door create the beautiful and intricate shadows with the sunlight falling through it. 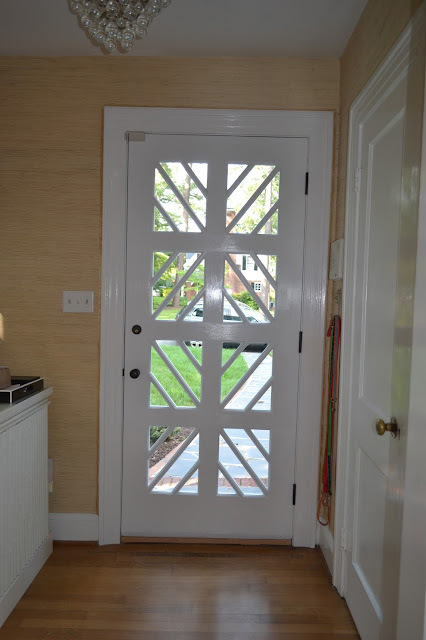 Your customer certainly had good taste choosing that for her door design. Such a nice door. Thanks for sharing this interesting post. 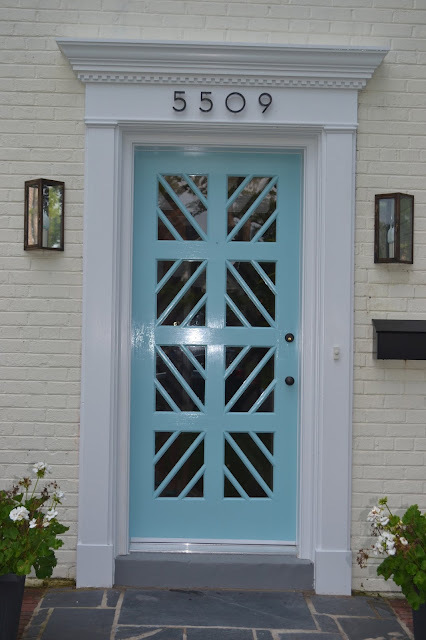 Man oh man is that a cool looking front door, that light blue is like the blue they have on old classic cars, my all time favorite, thank you for sharing this with us. It has inspired me to go out and do some remodelling of my own. My windows need work and so I will be sanding them down. The doorway looks very nice.